At the Apple Education Event just few hours ago, they launched iBooks 2, a new version of the their e-book software for iOS devices. 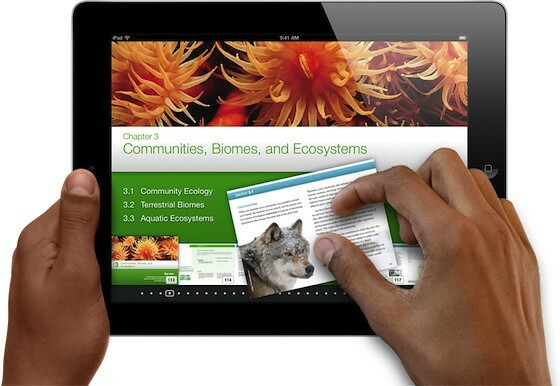 The update was made as a move to push into interactive digital textbooks which will be implemented on the iPad. So with this new move by Apple, they intend to digitalize textbooks so kids do not need to bring heavy books with them anymore. Find out more on Apple’s website. 5 Responses to "Apple Introduces Textbooks On iPad & iBooks 2 [video]"
miss any more of these. Thanks for sharing this informative post with us.I really like this video.Keep in touch with us in future too. great posts.Very interesting. I hadn’t thought of some of these things before. points with us. Most of people are looking these types of valuable posts.